European diplomats are looking at ways to raise pressure on Israel by taking a series of unprecedented steps to stop settlement expansion shortly after a shift of a similar sort was partly reflected in Sweden's decision to recognize Palestine as an independent state and a non-binding vote in the British parliament on the same issue. The Israeli Yedioth Aharonot newspaper said while the diplomats say they are only at an early point in planning their diplomatic "warfare," one move they are threatening to take is imposing a travel ban on Jewish settlers who have been involved in crimes against Palestinians. The EU has already imposed restrictions on loans to Israeli scientific institutions that operate in the West Bank and is moving ahead with plans to label products made in Jewish settlements. But further steps are now being considered. "The paperwork has been done but it is frozen for now," one official said. 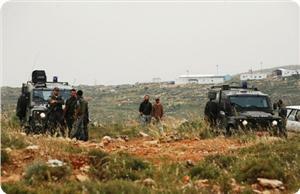 "It is basically a blacklist of violent settlers who have been accused of or convicted of crimes. It would prevent them from traveling to Europe." 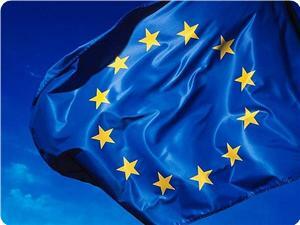 "No one is talking about imposing trade sanctions on Israel," said one EU country's ambassador to Israel. "But there is a very high level of frustration and there are many instruments at our disposal to make that frustration clear." The EU official said that looking into new manners to pressure Israel stems from the continuous frustration resulting from the ongoing building of settlements across the green line which reached its peak this year and has raised a wave of wide condemnations in the recent weeks. EU foreign ministers are set to meet in Luxembourg next Monday, where they will possibly discuss various moves against Israel. The Israeli Occupation Authorities (IOA) have started the establishment of 600 new housing units in four settlements east of occupied Jerusalem, Israeli media sources revealed. Kol Ha'ir Hebrew newspaper said that Aharon Company managed to market a new housing project in Pisgat Ze'ev settlement north of occupied Jerusalem. The project includes the establishment of four buildings each consisting of six housing units within 20 months. The company had earlier marketed a housing project that included the establishment of 22 housing units in the same settlement. 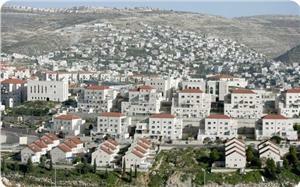 Another settlement project was also marketed in Maale Adumim settlement. The project includes the construction of two buildings containing 14 housing units. Aharon Company is expected to declare a new project in Gilo settlement that includes four buildings consisting of 22 housing units. Around 165 new housing units are currently under construction in Neve Yaakov settlement as well as 48 housing units in Pisgat Zeev. For its part, Tserfata Shimon started selling 142 housing units in HarHoma outpost, in addition to obtaining tenders for the construction of 92 new housing units in Pisgat Zeev settlement. 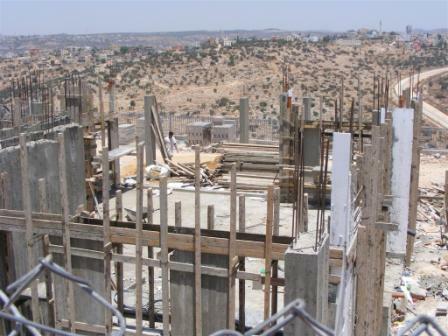 In the same context, the Maltese government has strongly condemned the Israeli decision to approve plans for new housing units in occupied Jerusalem. Consistent with its longstanding position on Israeli settlement expansion, Malta condemns the recent Israeli decision to approve a plan for new settlement activity in Givat Hamatos. Malta is very much concerned that this latest announcement will seriously undermine the viability of a two-state solution. This latest announcement further puts into question Israel’s commitment to a peaceful negotiated settlement with the Palestinians, a statement issued by Ministry of Foreign Affairs of Malta on Thursday said. The Israeli occupation authority (IOA) on Thursday annexed Palestinian-owned agricultural lands located within the boundaries of Al-Khader and Nahalin towns, southwest of Bethlehem. Ibrahim Shakarna, head of the municipal council in Nahalin, said that the IOA notified the Palestinian owners that it had seized their lands in Nahalin and Khader town. Shakarna added that an Israeli company started to bulldoze about three dunums of land (3,000 square meters) in the appropriated area near Daniel settlement and placed a notice board reading in Hebrew that a public park will be established there for Jewish settlers. The municipal official noted that the IOA intends to build the park for southern settlements on 400 dunums of land belonging to several Palestinian families from the towns of Nahalin and Khader towns. He added that the IOA claims that the annexed lands are located within a sacred Jewish area. The Japanese Government issued a statement, on Tuesday, denouncing the recent Israeli decision to build 2600 additional units in Israeli settlements in occupied East Jerusalem. The Japanese Foreign Ministry said Israel’s settlements contradict all international efforts to ensure the resumption of direct peace talks between Israel and the Palestinians, especially after the ceasefire agreement that ended Israel’s aggression on Gaza. Japan said Israel’s settlements place further obstacles that hinder the prospects of a two-state solution that would ensure the establishment of an independent Palestinian State living in peace next to Israel. It added that settlements violate International Law and the Fourth Geneva Conventions, and called on Tel Aviv to stop its settlement activities in the occupied territories, including in occupied East Jerusalem. It also called on Tel Aviv to void its decision as it places more obstacles in front of all efforts meant for advancing pace talks. 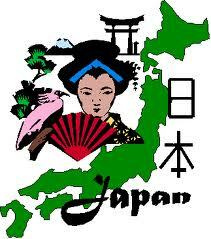 Japan further called on Israel and the Palestinians to act on rebuilding trust needed for peace talks to resume in order to achieve a comprehensive peaceful solution to the conflict. A high-ranking Bulgarian official, on Monday, condemned new Israeli settlement plans and confirmed that his country would be attending the Gaza reconstruction conference. Bulgarian Deputy Foreign Minister Valentin Poriazov confirmed that a Bulgarian delegation will attend the Gaza reconstruction conference to be hosted by Cairo on October 12, WAFA Palestinian News & Info Agency reports. The delegation will be headed by Bulgarian Foreign Minister Daniel Mitov. During a meeting with Palestinian Ambassador to Bulgaria, Ahmad al-Madbuh, Mr. Poriazov expressed his country’s condemnation of recent Israeli plans to construct 2,610 settlement units in the illegal settlement of 'Givat Hamatos’, as well as that of the recent takeover of several Palestinian houses in East Jerusalem neighborhood of Silwan by Elad (Ir David) Association. Poriazov called Israel to reverse its decisions, which jeopardize any prospects for realizing a two-state solution in the region, and to commit itself to achieving a peaceful settlement. He additionally stated that his country will not recognize unilateral steps taken to change the pre1967 borders, including changes in occupied East Jerusalem, outside of those agreed upon by the parties. He also stressed that to upgrade his country’s relations with Israel would be contingent upon Israel’s commitment to make peace based on that two-state solution. Italy has strongly criticized Israel's decision to move forward in its plan for building new housing units in occupied Jerusalem "as an obstacle to the peace process." 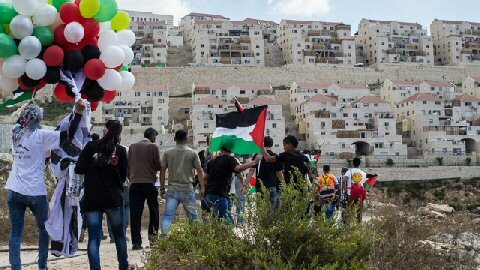 Israel’s decision to build 2160 homes at Givat Hamatos, near Jerusalem, is an obstacle to the efforts to reach a definitive solution to a conflict that has already affected, if not broken, the lives of too many generations, the Italian Foreign Ministry said in a statement Friday. "It is a provision that appears incompatible with the Israeli government’s several times reiterated intention to reach peace through a two-state solution. It is a decision that would weaken any possibility of the agreement envisaging Jerusalem as the future capital of the two states," according to the statement. The statement concluded by appealing to the Israeli government to review this decision and continue along the road of negotiations. Israeli leftist movement Peace Now published a statement condemning the plan to build new housing units in Givat Hamatos Wednesday, ahead of Prime Minister Benjamin Netanyahu's meeting with U.S. President Barack Obama in Washington. The organization charged that the plan was "destructive to the two-state solution," and accused Prime Minister Benjamin Netanyahu of trying to "destroy the possibility" of peace. The European Union condemned, on Friday, the Israeli plan to build 2610 new units for Jewish settlers in occupied East Jerusalem, and called on Tel Aviv to reverse its plan as it threatens the efforts to resume direct peace talks in the region, and violates International Law. The EU said that the Israeli move undermines the prospects of the two-state solution, and questions Israel’s commitment to comprehensive peace with the Palestinians. The Israeli plan was first presented in 2012; the units are planned to be built in Givat Hamatos illegal settlement, in occupied East Jerusalem, and received the official final approval last week. The EU said Israel is allowing the expansion of more settlements in occupied East Jerusalem, the anticipated capital of the future Palestinian State. The United States also denounced the plan, on Wednesday, while US President Barack Obama told Israeli Prime Minister Benjamin Netanyahu “the US is deeply concerned” about the issue. The European Union called on Tel Aviv to stop its ongoing construction and expansion of settlements in occupied Jerusalem and the occupied West Bank. Israeli settlements are illegal under International Law and the Fourth Geneva Convention to which Israel is a signatory. East Jerusalem and the West Bank are under Israeli occupation; therefore, building Jewish settlements is illegal, as an occupying power should not move all or part of its population into territories it occupies. 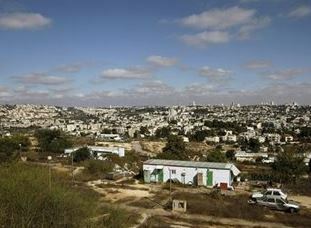 Israel’s settlement activities have also caused the Palestinians to lose lands and orchards, only sources of livelihood to villagers and farmers in different parts of the occupied West Bank, while the Annexation Wall is now isolating what is left of those orchards, and turned many areas in the West Bank into isolated cantons. The European Union said relations with Tell Aviv depend on its commitment to comprehensive peace, based on the two-state solution. On Thursday, Egypt issued a strong condemnation of the Israeli decision, and said the Israeli move violates International Law, and places further obstacles to the efforts to resume direct peace talks between Tel Aviv and Ramallah. East Jerusalem, as well as the West Bank, fell under Israeli occupation following the 1967 war, while on July 30, 1980 Israel passed the “Jerusalem Law” annexing the city and considering it the “eternal united capital." On August 20, 1980, the United Nations Security Council adopted resolution 478, denouncing the ongoing Israeli attempts to illegally annex Jerusalem. The resolution came following six prior similar resolutions. It also notes that Israel is non-compliant with resolution 476 of June 30 1980. Resolution 478 considered the Israeli “Jerusalem Law” a violation of International Law, and ruled it null and void, but similar to so many resolutions; Israel ignored it. The resolution passed by 14 votes, with no states voting against it and the United States abstained. The Palestinians said they will not return to peace talks with Tel Aviv without a complete cessation of all hostilities, including Israel’s ongoing settlement construction and expansion activities. The United States continues to grant Tel Aviv billions of dollars annually, and the ongoing military and security aid, in addition to hundreds of millions of dollars collected by pro-Israel lobbies in the US, thus it is practically running the occupation and funding the illegitimate Israeli construction and expansion of settlement. The French government slammed the latest Israeli decision to build 2610 homes in Givat HaMatos illegal Jewish settlement, south of occupied East Jerusalem, and called on Tel Aviv to void the approval. French Foreign Minister Laurent Fabius said that the construction plans meant establishing the first new settlement in occupied East Jerusalem in 15 years, and expressed his country’s full rejection to the plan. He added that such actions must be stopped, and called on Tel Aviv to refrain from conducting acts that threaten the efforts to resume peace talks. “We cannot pretend to support a solution while conducting acts against it without consequences being drawn, Fabius stated. “This includes consequences at the level of the European Union.” However, he did not elaborate on the said consequences. 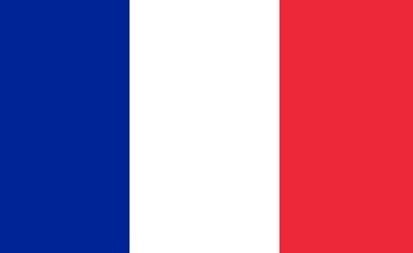 The French condemnation against the settlement plan came one day after the United States issued a similar statement, and expressed that to move ahead with this plan questions Israel’s commitment to peace in the region. However, the United States is the biggest supporter of Israel, especially politically, economically and on the military and security levels, with billions of US dollars annually.